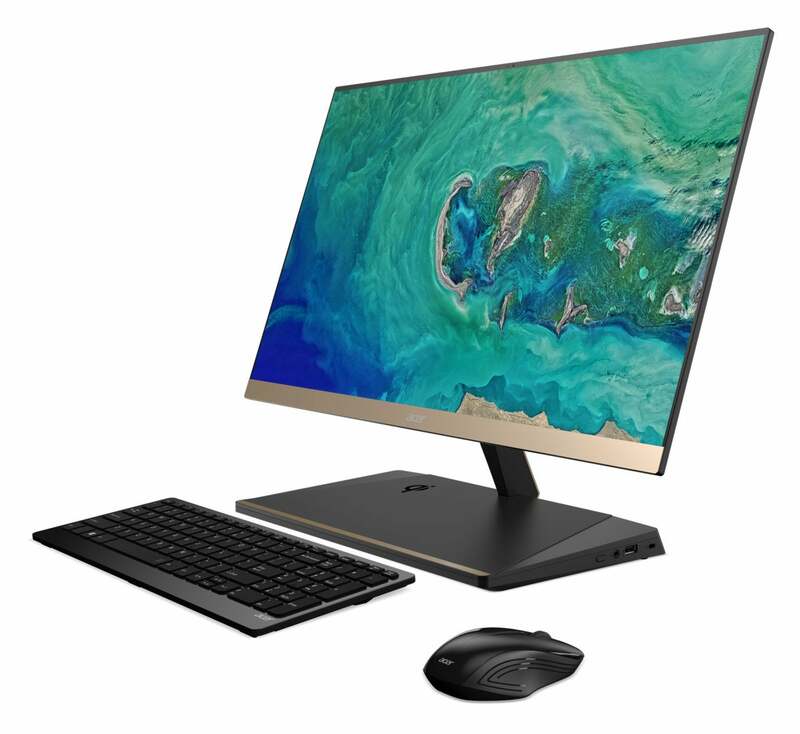 Acer’s Aspire S24 caught our eye in a way few all-in-one PCs do, because we almost didn’t catch it. At 0.235 inches, the display on the Aspire S24 is blink-and-you'll-miss-it thin, a refreshing change from the chunky, top-heavy profiles of most machines in this category. The super-slim screen makes the the Aspire S24 look premium, even though at its heart it's still a mainstream PC. 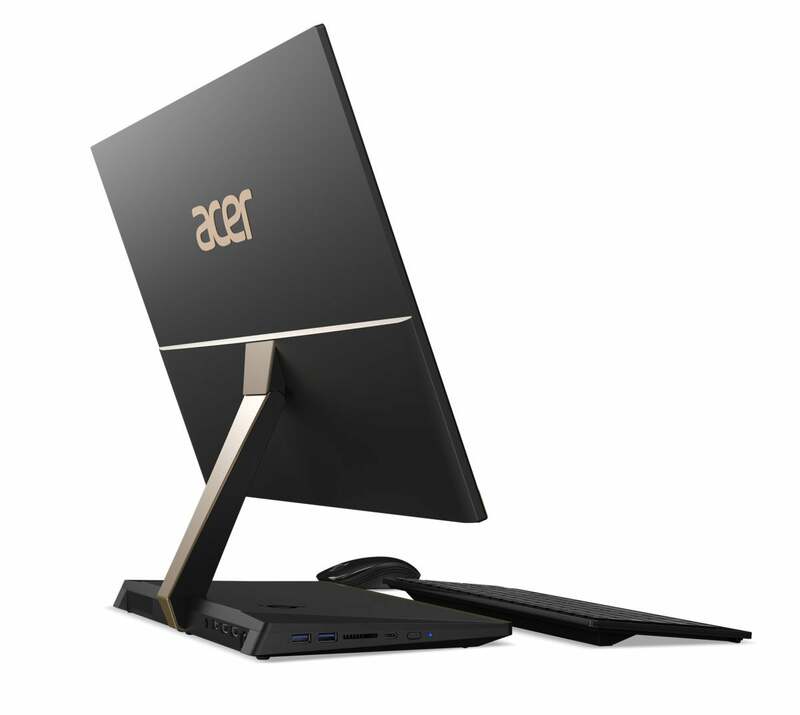 By focusing on the display technology, Acer gives it some distinction, balancing value with design. This is a machine you could place at a reception area or have out in the family room with no aesthetic risk. And it has one more forward-looking surprise, too. Announced Monday with a starting price of $879 and availability later in April, the Aspire S24 is a solid midrange machine. As you can see from the following specs, it has a notable drawback in the storage department. The Acer Aspire S24 comes with a wireless keyboard and mouse and a Qi wireless charging pad. Storage: 1TB 5,400rpm SATA hard drive. This drive is spacious, but very slow. Luckily, there are two M.2 interfaces for adding an SSD. Here's the surprise: Support for Qi wireless charging via the Aspire S24's base. If your mobile device supports Qi, you can lay it on the charging area for simple battery replenishment. The Aspire S24's display is where most of the enhancements converge. Granted, the 1920x1080 (Full HD) resolution is conventional—there’s no 4K luxury and no touch—but this panel is still good for work and light recreation. The display technology is IPS (in-plane switching), which means you’ll get wide viewing angles (178 degrees, per Acer) and good color reproduction. Additional technologies include Acer ExaColor for extra color saturation and contrast, Bluelight Shield to cut down on sleep-thwarting blue light at nighttime, and Flickerless to reduce screen flicker. The black and matte-gold finish on the Acer Aspire S24 exudes class. We already know the 23.8-inch screen is a mere 0.235-inch thin. The Aspire S24's bezels are skinny, too, measuring just 0.106 inch and delivering a 90-percent screen-to-body ratio, according to Acer. The display itself tilts -5 to 25 degrees. What you're not getting is discrete graphics. However, the integrated Intel UHD 620 graphics is adequate for everyday computing. All of these features are packed into a black and matte-gold color scheme that adds yet one more touch of class to the affordable Aspire S24. 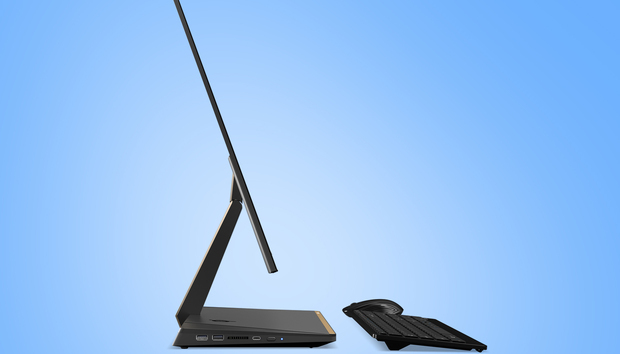 Why this matters: All-in-one PCs fill a lot of mainstream computing purposes in home and office settings. By focusing on display design and enhancements, the Acer Aspire S24 stands out a bit from the competition.